give them water and they will come! ..... good catch! sort of odd Larry, he was the only one out there, we drove on the reservation again today to see if other birds landed, nothing out there, so I guess he must of just gotten lost. Yeah, I think you're right CC, I'm pretty sure it is a great egret but looks like a heron also, the first I have seen out this way. Last edited by Bob Harris; 02-18-2013 at 11:34 PM. Nicely spotted and captured Bob. Never know what you are going to find in farmer's fields. Nice shot! I have only ever seen one, at the lake in Culpeper, VA. They seem to be quite skittish. Cool looking birds! Good shot, brother Bob - we see these all of the time around here; I never thought of one in the desert. I'm still a little confused if this is an egret or a heron Susan. There weren't any farmers daughters out there, I looked. I would think they have quite a few of these on the coast along with many other species. Lori, I remember even seeing some eagles at the ocean in Virginia. Surprised me too Jer, usually all I see is ravens and old people out this way. The terms are basically interchangeable. 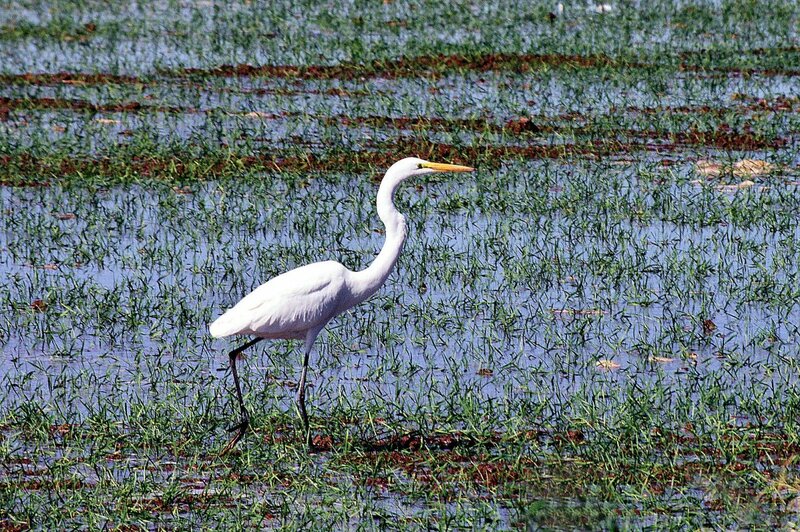 The Great Egret you have here is in the same genus as the Great Blue Heron, for example. Good spotting and nice shooting; I guess Great Egrets like the Arizona desert in winter for the same reasons fulltime RVer's do. Definitely Great Egret, a pretty commonly seen bird in the salt marshes around here in the summer. Lovely. All times are GMT -7. The time now is 09:04 AM. | See also: NikonForums.com, CanonForums.com part of our network of photo forums!